Appointments are available between 9.00am and 7.00pm on week days, and Saturday mornings, and usually last around 45 minutes with longer first appointments up to one hour. I can sometimes offer same day appointments. Please ring in the morning to check. 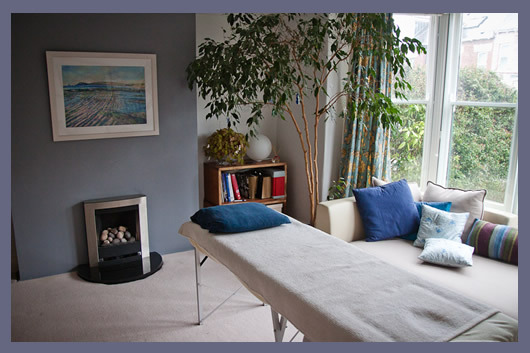 The practice is at 81 Southgrove Road, just off Ecclesall Road. Metered parking is available on Ecclesall Road and on nearby side streets. There is a very good bus service from Sheffield town centre to the practice.